at Setaka's Work in Progress Show at RCA. this old guy will knock the door of miracles. 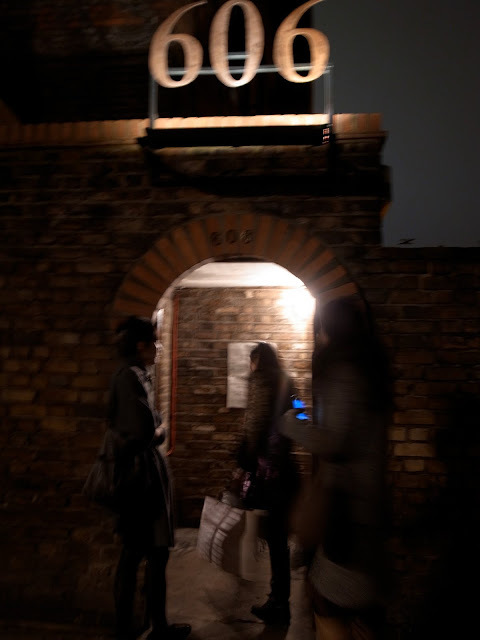 and then the vietnamese food with Chieko, Tommy, Alison and Setaka on the way to Cafe oto to see Otomo Yoshihide. 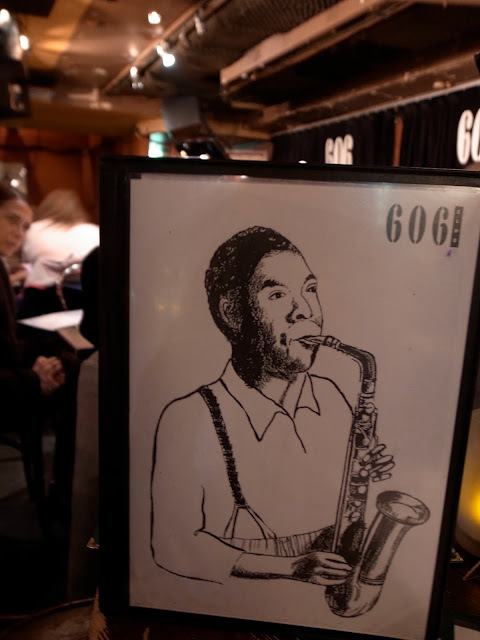 another special night at 606 Club for Jazz. this tiny old Jazz space has such a neat entrance and atmosphere. this is why I am happy this week. So, you like Jazz? It's not my favourite music, but is allways nice to listen. My weekends are not so originals, we often go dine, play some card games and go to cinema. I like the picture where we were blurry and dong funny things with our fingers. British jazz were quite different from the one I used to listen in the US. more stylish and clean. your wkend are my favorite things to do. yes because the restaurant was dark, all the photo got blurry but some of them were very cool in that way. thanks for going out with us!